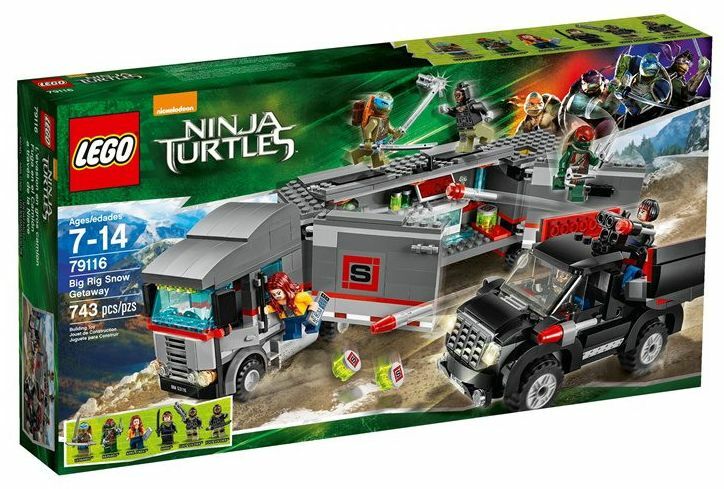 This is perhaps, in my opinion, the most interesting of the Summer wave of the Teenage Mutant Ninja Turtle sets. 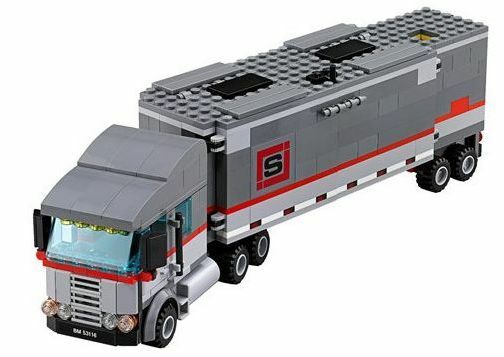 It is considerably big with exactly seven hundred and forty three pieces and brings two great vehicles, a big truck and a SUV, six mini-figures and plenty of nice accessories to make a road battle. 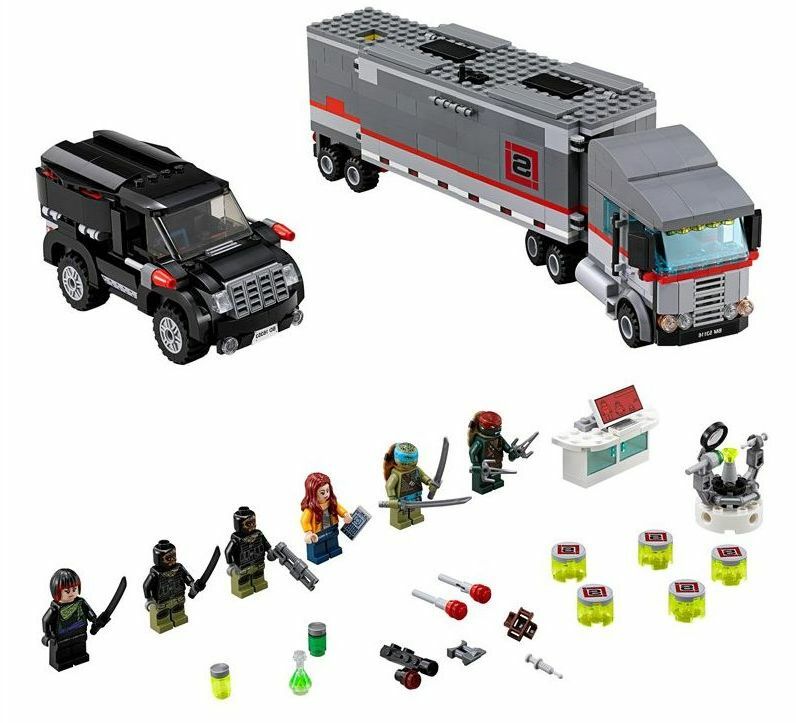 The images leaves no doubt, just like most of the others, this set will bring plenty of fight and action and for that, the two Ninja Turtles, Raphael and Leonardo, together with April O’Neil in a big grey truck will try to run from the two foot soldiers and Karai, which have at their disposal a really nice black SUV filled with really nice details. Having a look at the truck, I think that the first thing that come to our minds is the multiple City Mobile Police stations because the truck is simply a copy. 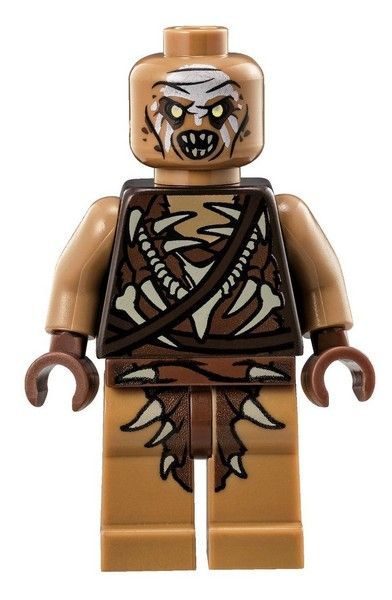 Not that it is bad,but I think that it could be slightly different. 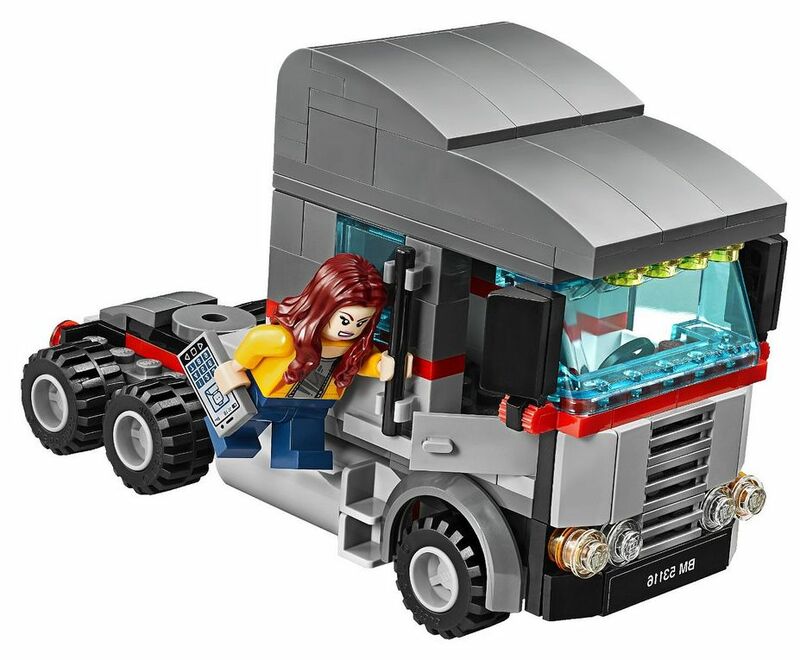 The truck has, as usual, a big cab with plenty of space for the guys and this time, and unlike the police vehicles, the roof is built with several bricks and easily detach from the rest. The trail, just like the Police trucks, has two big side doors and a removable roof with plenty of space inside for some really nice accessories, such as the small table with a red flat screen and plenty of secret green bottles, and at a corner, a sort of platform that suggest some kind of tele-transportation or magnetic cell. 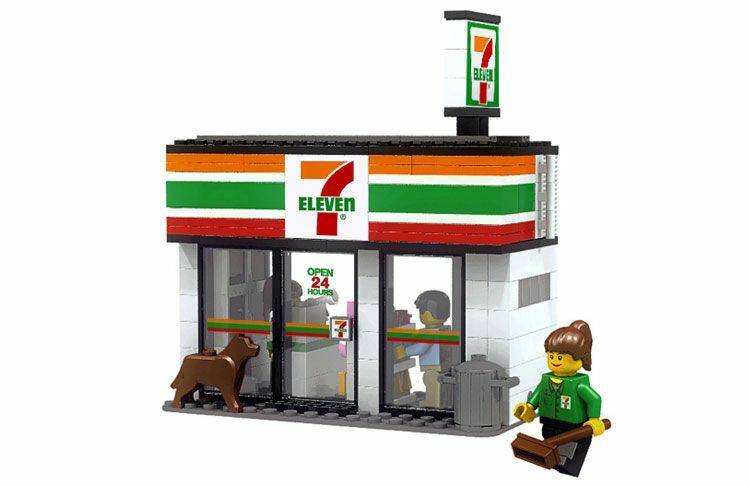 There is also, at one of the doors, a surveillance camera that points to the interior which makes us think that inside there is definitely plenty of critical material. Behind it, at the back, a smaller room seems to be a bombs’ launcher because it has a small gap at the back that allows to throw the bombs to the road! Now comes the bad guys’ car. 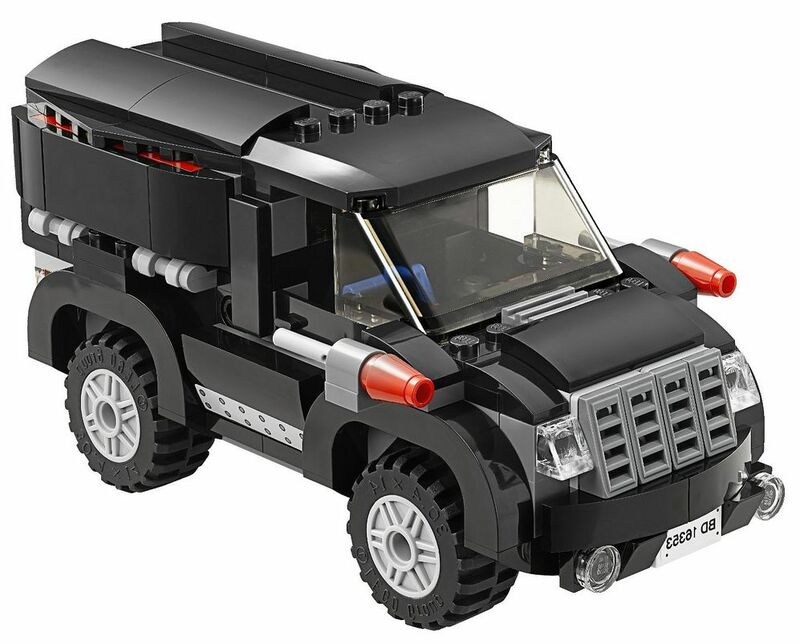 Made with black shades, the black SUV is simply awesome! 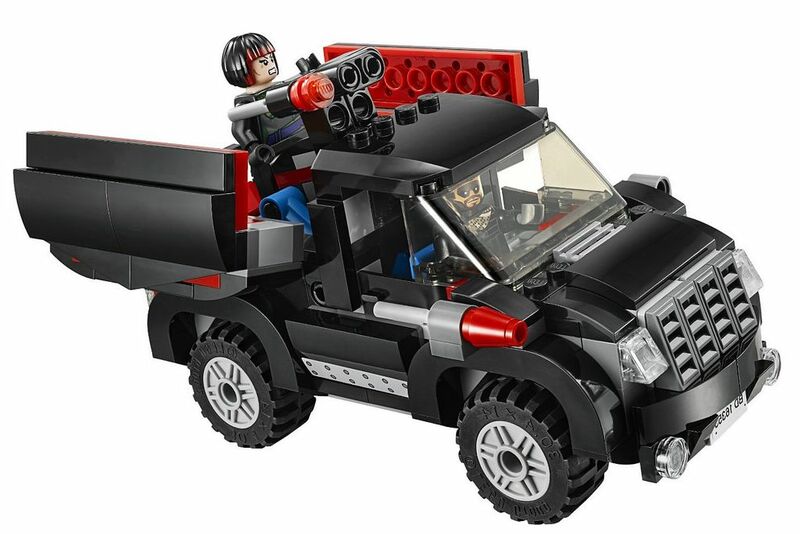 With flick fire missiles, instead of the rear view mirrors, it has behind the cab a compartment with a roof that simply opens just like two doors and makes appear a powerful cannon, built up on an interesting mechanism, that is ready to crumble the turtles and its big truck! 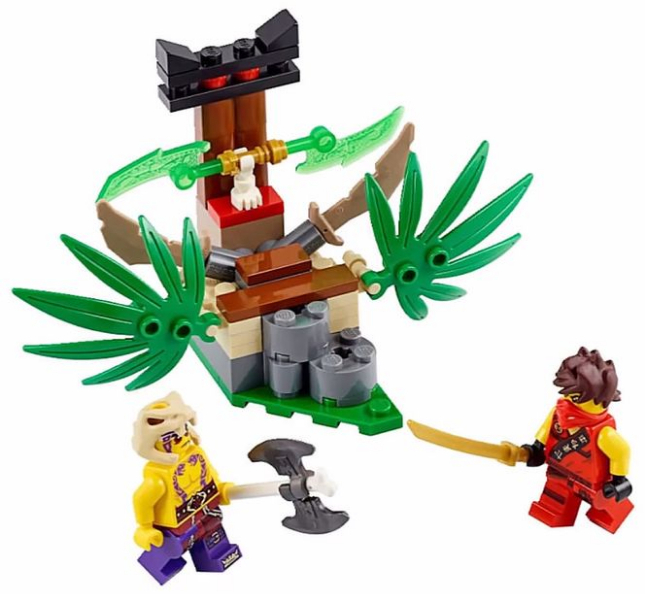 The six mini-figures have all assorted weapons, since swords until shotguns, and in my opinion they could’t be better, specially the turtles that seems to have a little different color scheme. 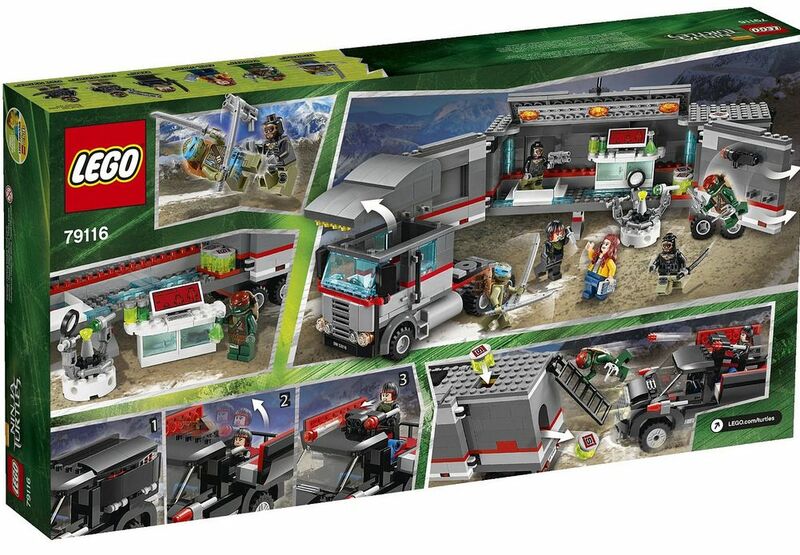 Overall, this looks definitely a great set, with two great vehicles and plenty of action. 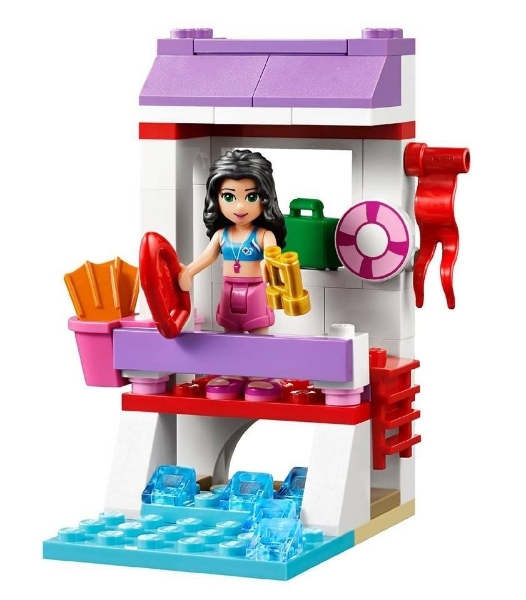 It’s a big set so be prepare for the price, around seventy dollars! Have a look at the gallery. 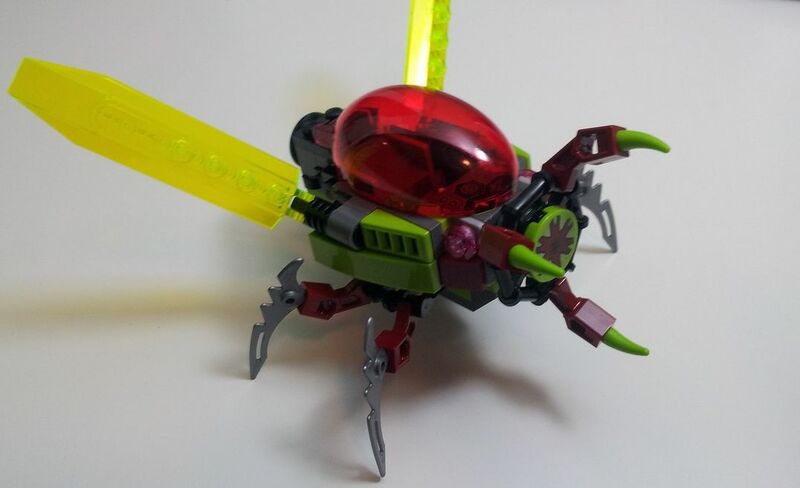 This entry was posted in Teenage Mutant Ninja Turtles and tagged 79116 by pedrolpais. Bookmark the permalink.